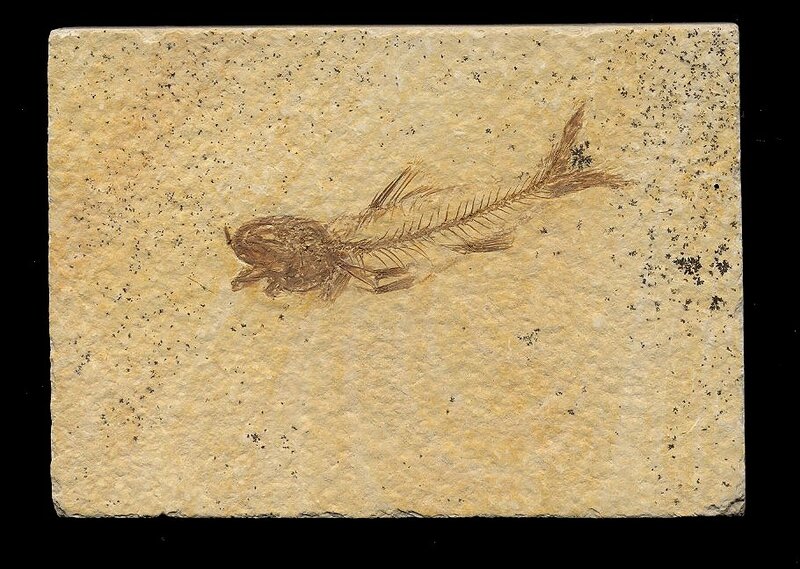 Here is a very nice specimen of a rare fossil fish from the Eocene of Wyoming. This is Amphiplaga brachyptera from the Green River Formation. Only a handful of these fish are found each year. This specimen exhibits good detail. The bone structure is nice, the fins are intact, and the open mouth is easily seen. The fish has excellent orangish-brown color and contrasts beautifully with the cream-colored matrix. The fossil is well showcased on the rectangular plate of shale. This is a cool specimen of this highly uncommon fish.